These enclosures are designed to be mounted around a previously mounted TV. They are available for screens from 15 to 98 inches, and custom sizes are available. They are not watertight, they are designed to prevent access and damage to the TV. The units are made a little bigger than the TV height and width based on the size of the TV. 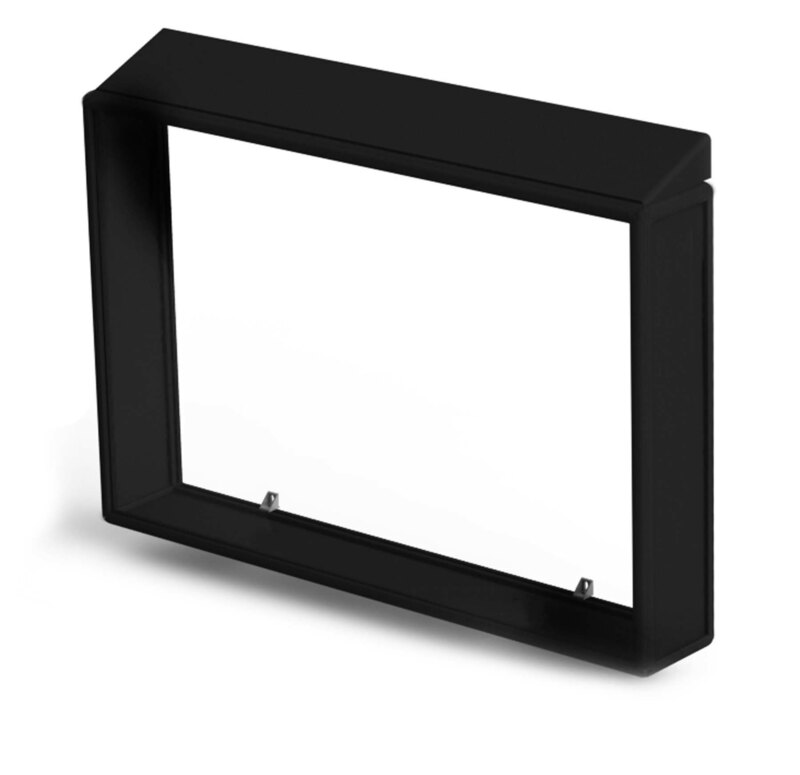 They are constructed from strong, black anodized aluminum extrusion, ABS, and Polycarbonate. The rounded corners and rounded edges provide for a very nice appearance, as well as a crucial safety feature. Our enclosures include two cooling fans. If your TV has a spare USB port, it should power the fans and turn them off and on with the TV, otherwise a USB power supply has been included. Also, we now have the capability to provide three different type ports (HDMI, USB, and 3.5mm stereo port) that can be flush mounted into the perimeter panels. These ports are all female on both sides, and are simply through ports, so the customer will need to supply the cables to interface from the TV to the ports (see photo below). This feature allows you to plug external components directly into the side of the enclosure, in lieu of adding an access door to reach directly through the enclosure to get to the native ports on the TV itself. You will need to tell us how far from the wall the front of the TV projects, including the extra depth if the TV is tilted. The enclosure will then be fabricated to those dimensions. Diagonal TV Size: 15"-17" 18"-20" 21"-24" 25"-29" 30"-33" 34"-39" 40"-43" 44"-48" 49"-54" 55"-56" 57"-59" 60"-62" 63"-65" 70" 75" 80"-82" 85" 90" 95" 98"